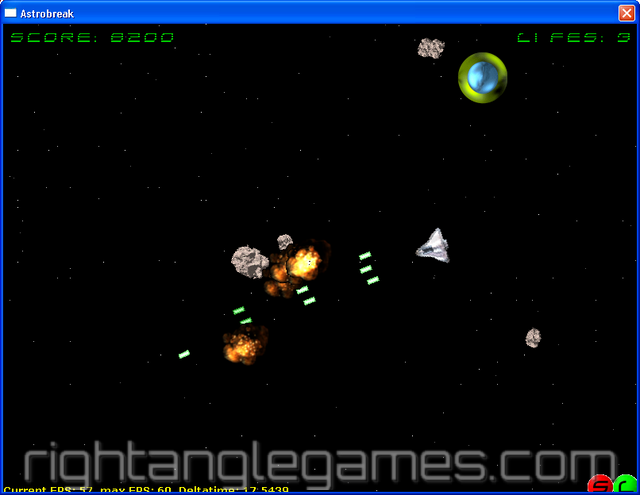 Astrobreak - some enhanced Asteroids clone, coded for the Underware Design retro competition 2006! 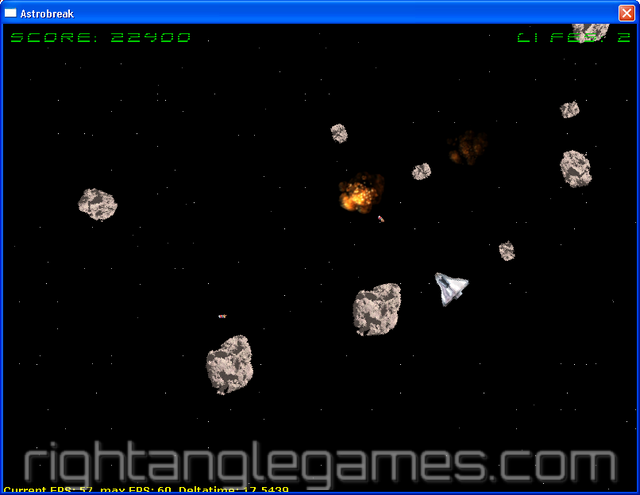 Astrobreak is a simple Asteroids clone. But it adds something new to the game - powerups and powerdowns. Okay, powerups are not new but powerdowns are. Aliens will shoot at you - with their first shot they will try to hit you with their powerdown weapon. If they hit a random powerdown will affect you for 15(!) seconds. This can be a very long time. As soon as you are "powerdowned" aliens will shoot at you with their vaporizers - you were warned! Go and download it. You can post comments or feedback in the Astrobreak final thread in the UWDesign forums.